Rooftop Bar Klunkerkranich is hardly a secret anymore, this place is still super cool and unique. Take the subway to Rathaus Neukölln (U7) and walk to the somewhat sad looking Neukölln Arkaden (mall). Once in there, find the elevators that take you to the highest possible floor. Once you get out, you will find yourself in a parking garage atop the mall. Walk up to the ramp with the walls adorned by a funky vertical garden. You are now at one of the funkiest and coolest places to watch the sunset in Berlin. Wether you sit by the rooftop garden or on the benches, tables and steps of the bar area, you are in for a treat. As you get there just take in the vibe of the place and enjoy the sensational view over Berlin. Ah the view!! Try and get there on a sunny/nice day. You will not resist but to snap a picture or two. Get a beer, sit down (ideally with friends – but I guess it is also a great place to meet people if you are alone). ENJOY! It’s just that kind of place. 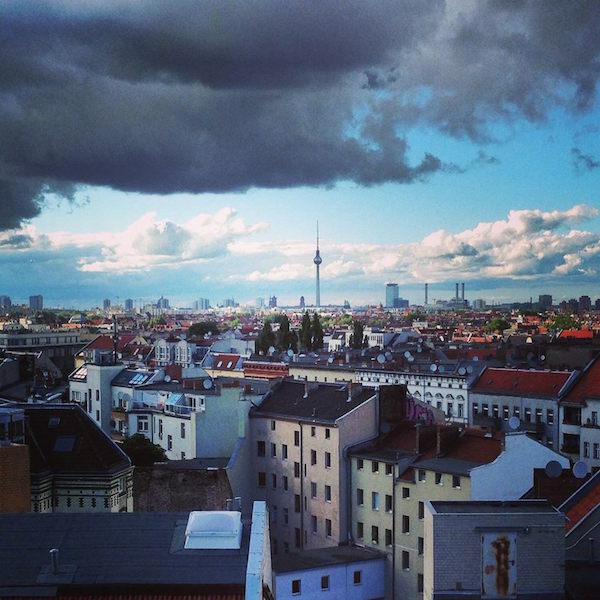 Hang out at “Rooftop Bar Klunkerkranich” as long as you like. Later on there are usually DJs and parties going on. The neighbourhood around this place (Neukölln) is currently one of the more bohemian parts of Berlin. 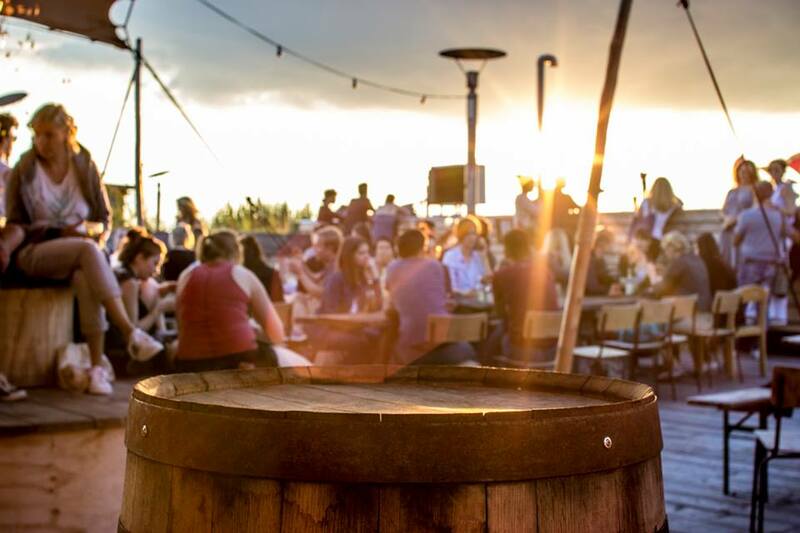 If a rooftop night out is not your thing, check out Klunkerkranich and then walk to one of the many cool bars, clubs and restaurants in the area. Keep checking back for more places to visit in Neukölln. What we like to do at KLUNKERKRANICH BEST ROOFTOP BAR: grab a beer, sit down, chill and wait for the sunset.